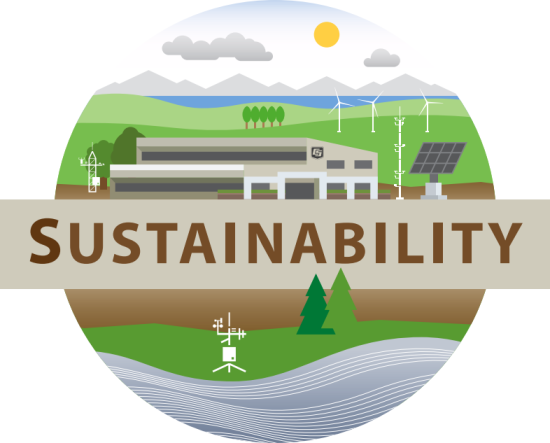 When we talk about our commitment to environmental sustainability at Campbell Scientific, Inc., we are referring to our mindfulness of the effect that we have on our environment and natural resources. As a company and as individuals, we make a conscious effort to produce the smallest environmental impact possible so that we may preserve our quality of life for present and future generations. 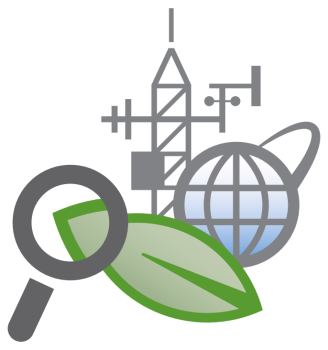 As a manufacturer of scientific measurement instruments, our products are used by scientists and researchers across the globe to make more informed, data-driven decisions that affect the future of our environment. Moreover, our products are used in the renewable energy market for solar and wind energy assessments so that we can lessen our dependence on non-renewable resources. For over 30 years, Campbell Scientific, Inc., has been at the forefront of the design and manufacturing of rugged measurement and control solutions for the wind and solar energy industries and is a trusted partner to researchers and project developers in these industries. Decision makers trust data from our data acquisition systems during the early stages of research and development, performance testing and verification, and pre-construction energy estimates, as well as for the everyday real-time assessment of solar and wind plant performance. We appreciate your support of our commitment to environmental sustainability, and we invite you to read our story below. In 1974, Campbell Scientific was organized by two brothers, Eric and Evan Campbell, with the assistance of other family members. Several of the Campbell brothers had worked for Dr. Sterling Taylor, a soils professor at Utah State University. Dr. Taylor encouraged his students to be creative thinkers at a time when new technology was emerging that would impact environmental sensing. Campbell Scientific's founders were inspired by Dr. Taylor’s encouragement and other experiences to begin producing sophisticated weather, soil, and water measurement instruments for agricultural research and environmental science. It was necessary that these instruments could operate on minimal battery power out in the field for long periods. Low power consumption for remote operation became one of the criteria that led to the design of the CR5 Measurement and Control System. The CR5 used the then-new CMOS (Complementary Metal Oxide Semiconductor) microprocessor for low-power operation. Campbell Scientific was, in fact, one of the first companies to offer low-power, high-precision field data loggers. 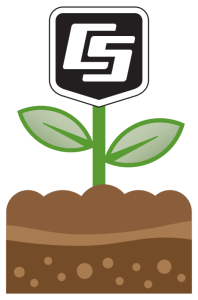 Our commitment to sustainability as a company includes our physical working environment. It is our desire to minimize the negative environmental impacts of our operations and buildings. In 1981, Campbell Scientific moved to its current location—a solar-energy-efficient building that was designed to take advantage of a southern exposure, which could naturally provide a lighting and heating resource. The building was very well insulated and designed with the ability to minimize daytime temperature variations by storing heat diurnally with internal thermal mass in the winter and cooling down during the summer using night-time venting. The overhang above the south-facing windows was extended enough to shade the windows during the summer but admit direct sunlight during the winter months at our 42-degree-north latitude. We used a CR21 Micrologger to control the building's heating, ventilation, and air conditioning for optimum efficiency and conservation. In 2009, we installed a state-of-the art photovoltaic solar array on a tracker in our parking lot for the primary purpose of power generation. (You can watch our solar array being installed in this YouTube video posted by Bracken Berger Photography: www.youtube.com/watch?v=h8t-_flfP7Y.) Our 27-by-40-foot array is rated at 13 kW and generates electricity for our own needs and also sends electricity into the grid on weekends or holidays when it is not needed for our buildings. We use a variety of sensors on the tracking solar array, as well as on a stationary reference solar panel, to test instruments and techniques for use in the renewable energy industry. The knowledge we gain provides us with practical expertise to help our customers choose and implement energy solutions. In 2011, our newest building (Building 4) was completed. Many energy-saving features were incorporated into Building 4 to keep our carbon footprint at a minimum. While we were designing Building 4, we researched alternatives to let in outside light, as well as how to make the building as energy efficient as possible with a well-insulated roof and walls. Using a computer model of the building’s energy characteristics, we tested our ideas. Of all the ideas we tested, we decided to use a ground source heat pump that would take advantage of moderate temperatures in the ground to transfer heat to the building in the winter and transfer heat from the building in the summer. Instead of using a traditional heat exchanger system with a large field of buried pipe, we used a standard evaporative chiller and boiler, and we augmented the system with a thermal storage tank connected to a flowing well that supplies water at 70°F. We chose a 10,000 gallon water tank and calculated that the extra cost of the tank would have a payout of approximately 20 years. We are able to store thermal energy from one part of the day to be used at a later time. For example, the occupancy heat load (from people and machines) is usually removed from the building in the afternoon. In the wintertime, that heat is stored and used the next morning to warm the building before employees arrive. We are able to take advantage of less expensive energy sources when they are available and store that energy until it is needed. The 70°F flowing water is used to transfer heat to or from the storage tank. During moderate temperatures (typically, spring and fall), this source alone is sufficient to handle our system’s needs. Our system operates using conventional thermostats to control the heat pumps in Building 4. A CR3000 Micrologger communicates with the thermostats via the Modbus communications protocol to provide a user interface for those running the system. The CR3000 measures a variety of parameters necessary to control the boilers, chiller, and several large water pumps that move thermal energy to where it is needed. By using reversible heat pumps in the various zones of Building 4, we are able to harvest excess heat from some zones and circulate that heat to other zones that require more heating in the winter. To determine the carbon footprint of our company, we review our utility billings and convert decatherms of natural gas and kilowatt-hours of electricity to the equivalent annual metric tons of carbon dioxide emissions. We measure how much energy is used in each of our buildings, as well as the energy usage per person. (The smart lighting in our buildings, fortunately, conserves electricity when areas are unoccupied.) Monitors throughout our buildings display data regarding the performance of our solar-power system and the energy-saving components of Building 4. In 2015, we took another step forward with our lighting. We installed exterior LED lighting that has reduced our outdoor lighting energy consumption by 70 percent and has made Campbell Scientific, Inc., Dark Sky Compliant. As a manufacturer of electro-mechanical products, we recognize our responsibility to minimize our impact on the environment. This responsibility begins in our design, where we are conscientious of the raw materials we use, as well as the materials that are required for us to process these raw materials and other components into a product that we can be proud of. Our manufacturing processes are designed not only to minimize our use of natural resources, but also to minimize waste. In 1995, we introduced the CR10X, our first data logger to use surface-mount technology, whereby the components were mounted to the surface of the circuit boards. This technology alone enabled us to process our products quicker and with less impact on the environment by reducing our process-related hazardous waste significantly. 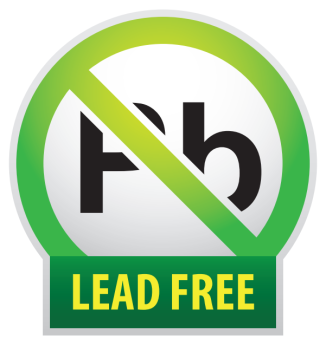 In 2010, we made the decision to comply with the RoHS directive, which required the elimination of lead (Pb) from our products. This was not an easy transition, because lead-based solders had been used in electronics manufacturing for decades. After we conducted much research and in-house evaluation of other high-temperature solder alloys, and after we were confident that there would be no reduction of quality or reliability for our products, we began establishing product compliance with the RoHS standards. This is now part of our CE compliance process and is noted in our product declarations of conformance. Throughout our history, we have worked to lower the amount of energy consumed by our products. Not only does this help conserve resources, but low-power equipment is often necessary at many field sites. As an environmentally responsible manufacturer, we build products with the expectation that they will perform for many years, with many of our products being in service for 20-plus years. It is not our intent to design, manufacture, and sell a product that has a short life expectancy. To help us maintain an active engagement in the continual improvement of our sustainability practices and processes, we initiated a Sustainability Committee. We recognize that recycling electronic devices helps conserve our natural resources and minimizes the amount of greenhouse gas emissions caused when manufacturing virgin materials. Therefore, it is our goal to make the proper recycling, or disposal, of old, outdated electronic products as convenient as possible for our customers. We hope that when you have unused Campbell Scientific electronic equipment that you no longer need, you will dispose of it in an environmentally friendly manner. You may be able to find a local recycling company that will help you with your disposal need at no charge. If that is not the case, and you are a customer residing in a country served directly by Campbell Scientific, Inc. (in Logan, Utah), we encourage you to return your unused equipment to us. To take advantage of our recycling program and help us endeavor to be an environmentally responsible manufacturer, please contact one of our Support and Implementation Engineers at 435-227-9100. 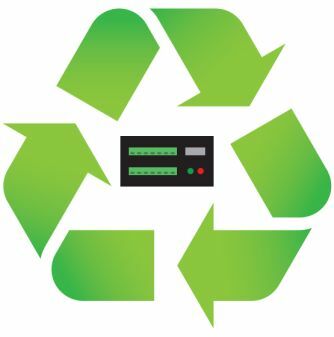 In addition to recycling Campbell Scientific electronic equipment (e-waste) for our customers, we recycle the waste we generate, such as metal scrap, paper cardboard, plastic, fluorescent lights, batteries, solder waste, and waste oil. Employees who have materials at home that have been reused and are ready for recycling are encouraged to bring them to work for proper recycling. In addition to acknowledging the impact we make on the environment from working within our walls, we are also conscientious of the impact we have beyond our walls. 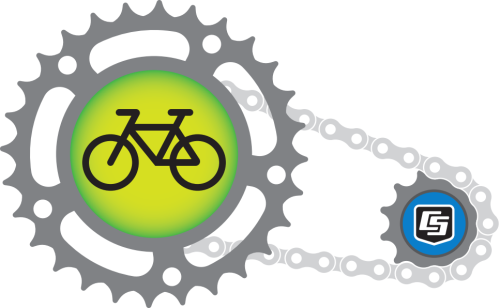 For years, we have encouraged our employees to commute to and from work via bicycle to minimize air pollution. We offer dry, secure storage by providing an indoor bike rack area with lockers. Centrally located, this indoor parking area creates community encouragement for commuting via bicycle. Employees often bring their spare tools to work to share with one another, helping everyone have a more reliable commute. 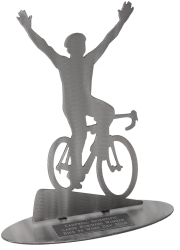 In 2001, the Cache Valley Veloists, a local bicycle club that promotes bicycle use and touring, presented us with the "Bicycle-Commuter Considerate Employer" award, recognizing that we encourage, support, and provide accommodations for employees who choose to commute to work via bicycle. The Bear River Health Department presented us with the “Large Business Owner” award in conjunction with "Bike to Work Day 2016" because of the high percentage of our employees who participated in the event. In addition to our cycling efforts, we go beyond our walls by being directly involved in our community's renewable resource planning. For example, one of our employees serves as the Vice Chair on the Logan City Renewable Energy & Conservation Advisory Board. The board members meet monthly with this mission: "To conserve and use our resources efficiently, and to assist in transitioning the city of Logan toward a fully renewable energy portfolio that is secure, diverse, cost-effective and promotes security of environment." The local newspaper published an article about this board's effforts. Our commitment to practicing environmental sustainability is a continuous process whereby we strive to preserve our environment for the generations that follow us. We will continue to monitor the effect we have, as individuals and as a company, on our natural resources and make incremental improvements that lessen our environmental impact. We thank you for helping support these efforts. For more information, read the "Help Campbell Scientific, Inc. Celebrate Earth Day Every Day" blog article.